Ney Hwu Magnetism Material Co., Ltd.
Our company offers customized designing and processing service upon specific requirements on specifications and surface treatment from our customers. Our strong, ferrite, and rare earth magnet products feature stable quality, competitive price, fast delivery and reliable service. We follow the modern environmental policy and cherish each cooperative chance with our partners by providing long-term technological and after-service supports. 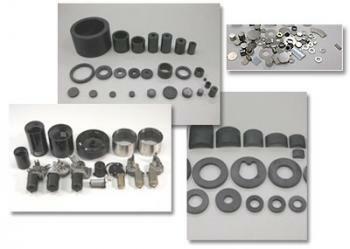 Due to our profound experience in the manufacture of electrical products and the belief on sustainable management, we produce sintered/ bonded permanent ferrite magnet, sintered/ bonded rare earth magnet ferrites, generators, electric accessories, magnetic assemblies and magnetic crafts, and strong magnet, etc. Our products are widely applied in automobiles, computers, telecommunications, medical, instruments, meters, air-conditioning, refrigerators, compressors, microwave stoves and other electrical appliances.